Do you like it? Share it! Lisbon is a dream for every passionate photographer. 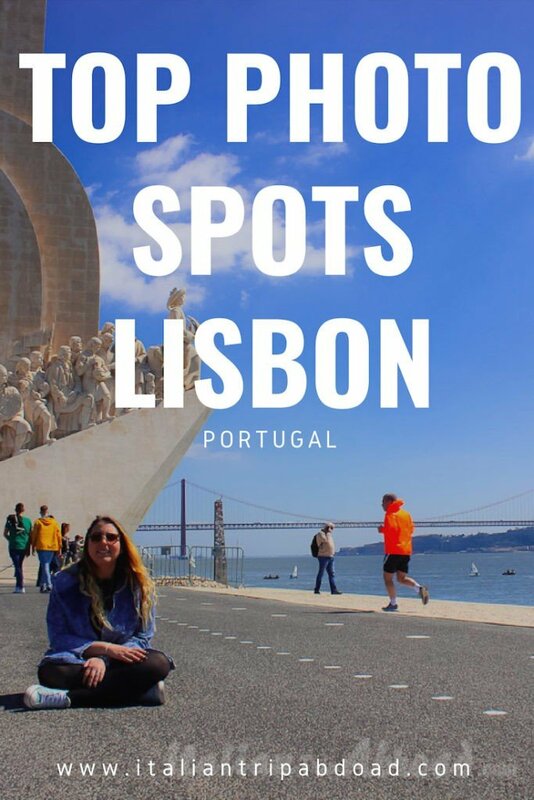 This is a list of the top 10 photo spots in Lisbon, where to go and plan to take your personal postcard. At any landscapes, curve, narrow street, Lisbon knows how to hold you in suspense. You will capture the world surrounding you at every corner. 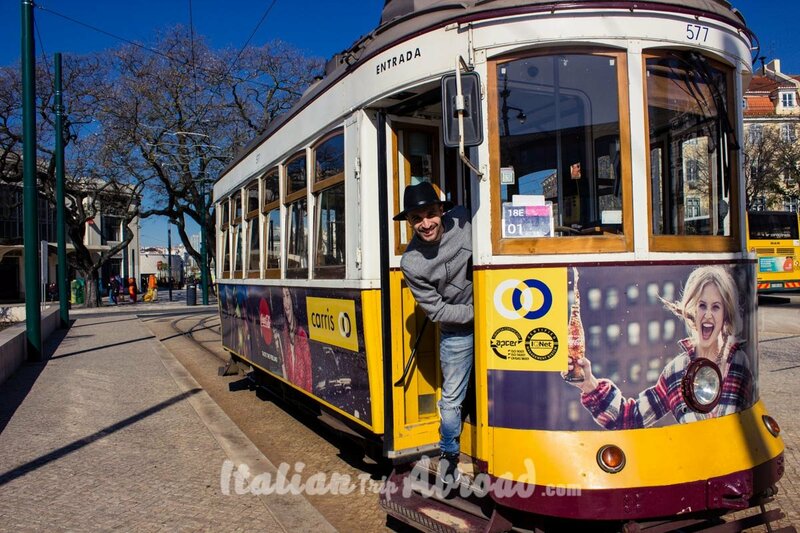 You cannot skip a photo on the iconic tram No.28, or on the top of the Alfama or from the beautiful hill of the Cristo Rei of Lisbon. 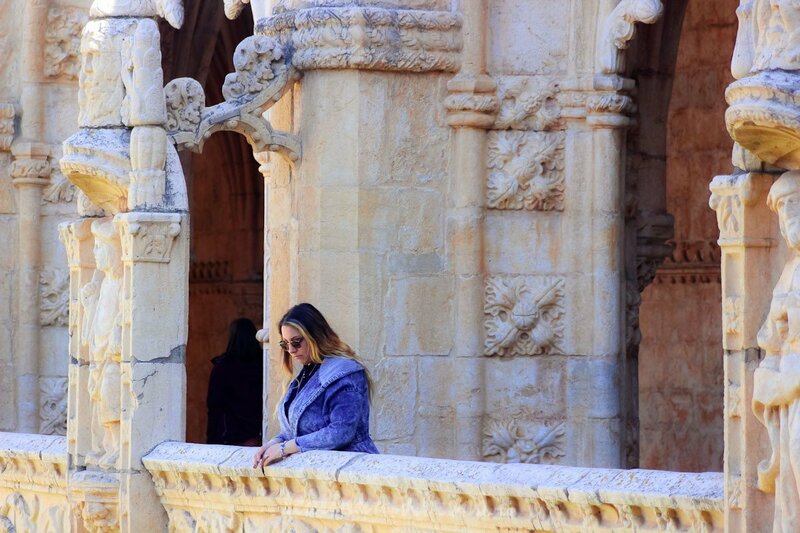 This will be not just the right place where find inspiration for your next Lisbon Photoshoot, but it will be the personal suggestions about the fun things to do in Lisbon. 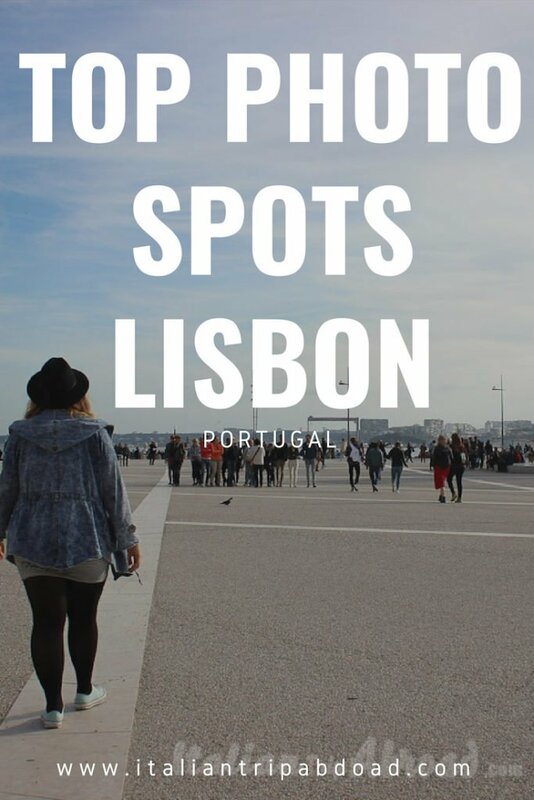 Top photo spots in Lisbon is a list of beautiful places to visit. 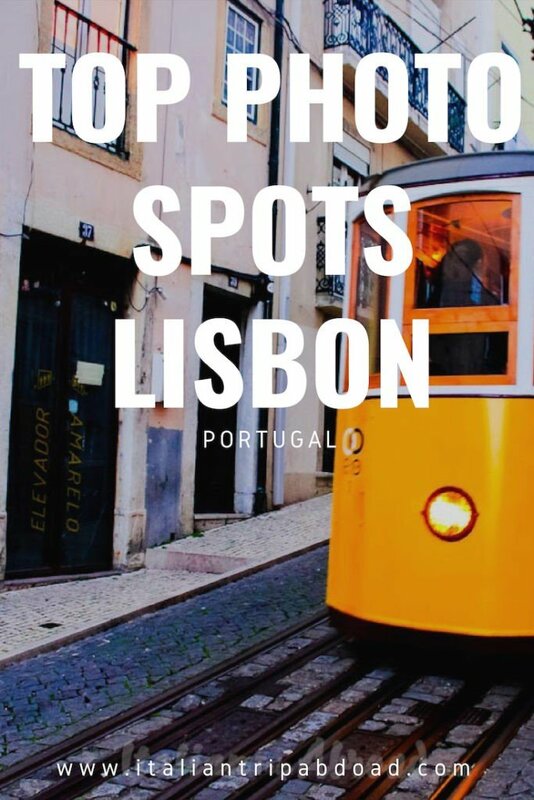 A list of spots where snap your next instagrammable Lisbon photo. 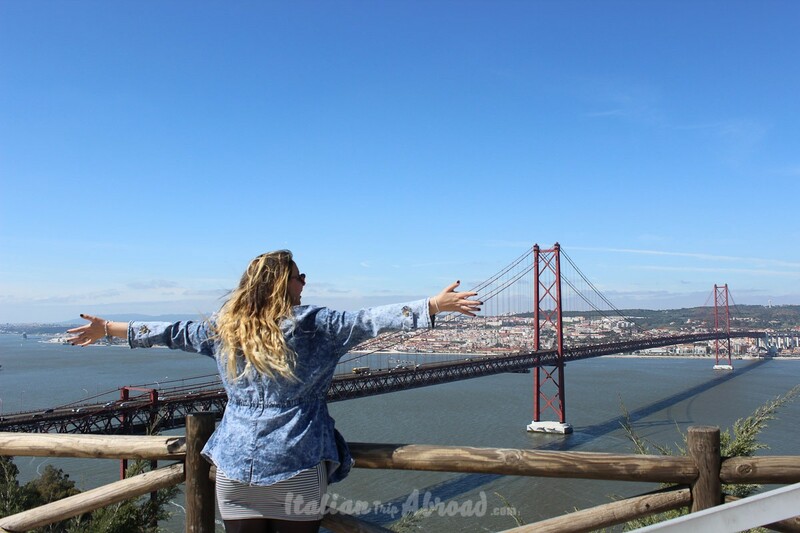 From every corner you see Lisbon, you will see happiness, colours and an amazing blue sky. Lisbon is unbelievable beautiful. We cannot leave you without the regular bonus photos. Lisbon is one of the best smart city in Europe, becoming one of the centres of the young generation of the Old Continent. You can walk thought all the city, it has a completely traffic free city centre, if you feel great you can even hike the miraduro and enjoy the city from the top of the hills. You will discover the charming alleyways and the amazing colourful facades of the buildings with the awesome Azulejos. Ascensor da Bica is just one of the tramway of Lisbon. It is taking the passenger up and down the hills. 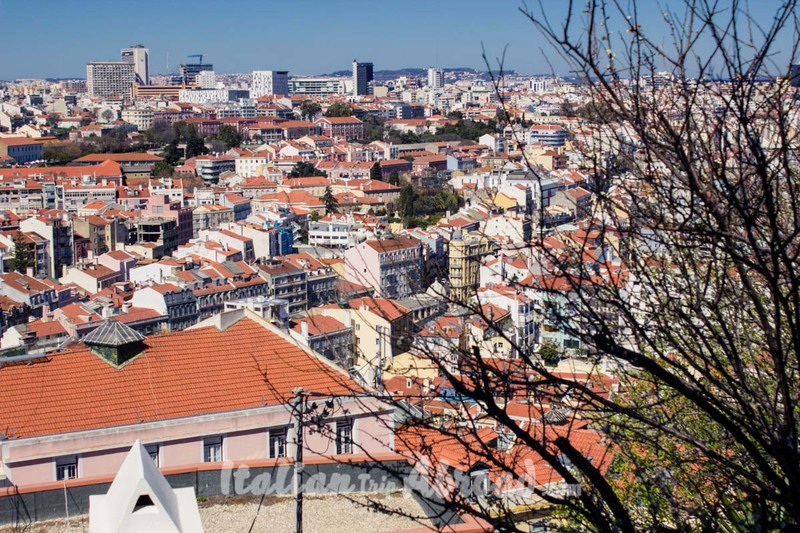 It is one of the hills of Lisbon and here we come for admire one of the best things in Lisbon. The Ascensor is just an old cable car, thai is the same as a tram, but going up and down to the hill. Lisbon is really proud of their cable cars and trams and keeps this as new. It is one of the most suggestive areas of Lisbon, here you will find the real essence of this place. 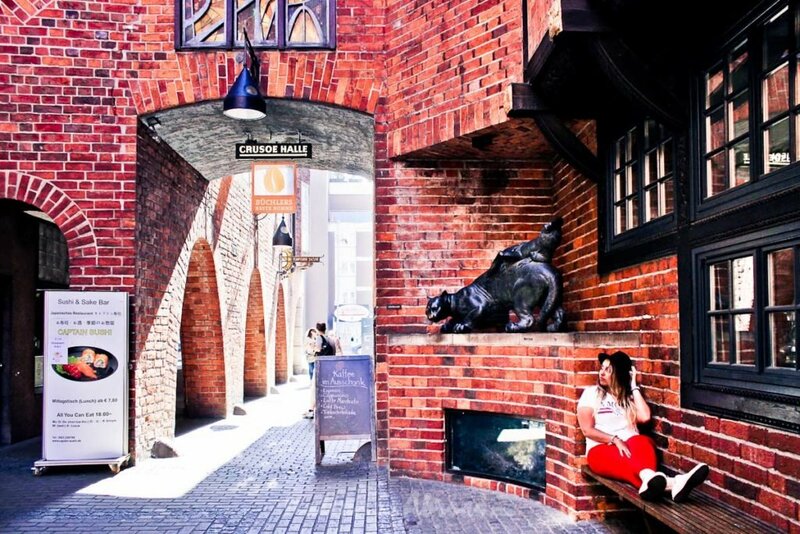 Rich of history and heritage you will walk on suggestive cobblestone alleys and go through awesome facades. Check the doors and the facades of the buildings rich of Azulejos. Plan to go to Barrio Alto for a dinner or a quick lunch. Stay longer in this amazing Lisbon’s quarter, you will start to take photos everywhere. It is one of the best places in Lisbon, just a bit out of the touristic centre of the city. Here is where all the locals come and relax during working day. You can park your car just behind the park, full of parking spaces. 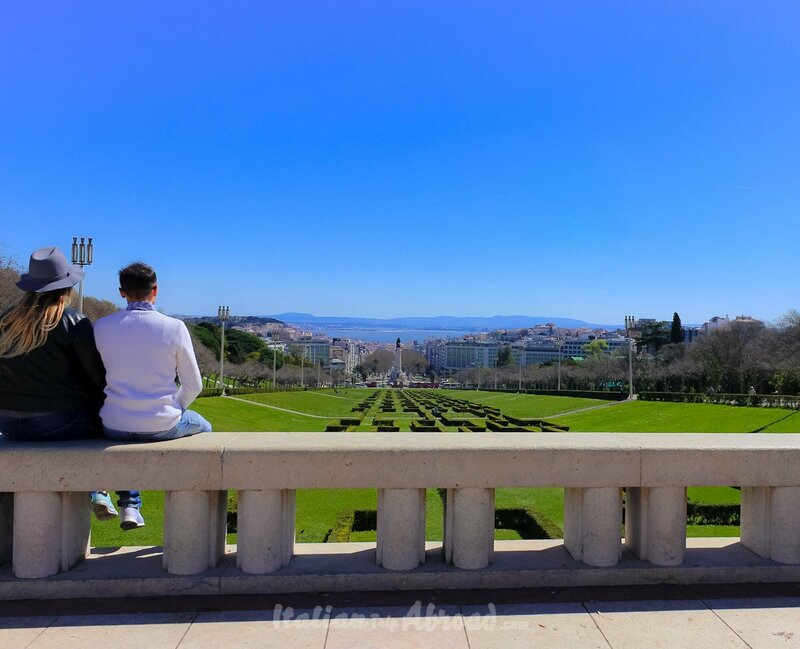 Jardin Amalia Rodrigues is one of the best places to take pictures, you will love it, you will be able to see and fell the beauty of Lisbon. This is a perfect Lisbon photography spot. Here there are some nice local spots in Lisbon for a photographer. It was one of the poorest zone of Lisbon. Now completely renowned is preserving the own style and heritage. Hike up the hill even at night. When the sun is going down, it is the time when the area starts to be lively. It is the zone where the artists choose to live in, go up to the miradores and check the amazing and inspiring view. With some of the shots we took of Lisbon we aim to be one of the best blogs for photos about Lisbon. 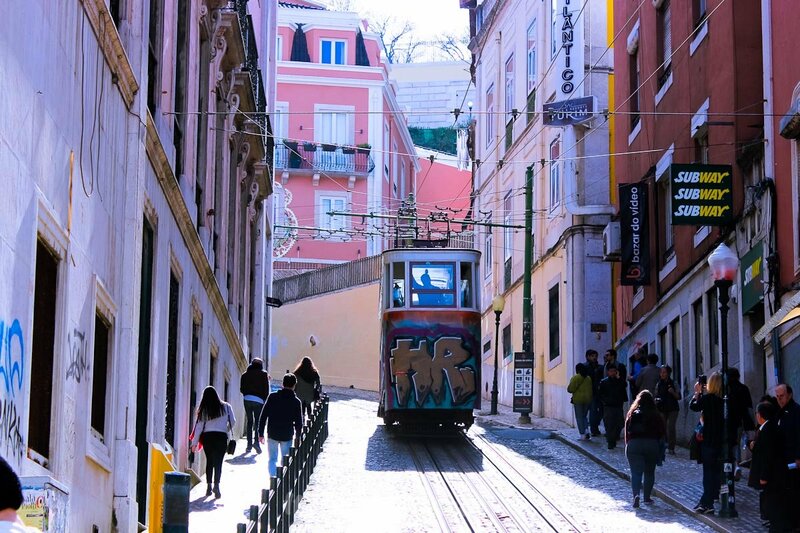 Miraduro is just a way to call a high alley, from where you can admire all the beautiful landscape of Lisbon. Any miraduro is great for taking some shots, that’s why we insert in our list of the best photo spots in Lisbon. This is one of the best instagram worthy places in Lisbon. Maybe Placa de Comercio is one of the first things you will see in Lisbon, it is even one of the first things coming up in mind when somebody talks about Lisbon. It is the main square with a direct access to the Rio Tago, the river passing in the middle of the city. It is an amazing square, giving you the access to the city. If you are thinking about Lisbon of course Placa de Comercio will be on your top list for most instagrammable places in Lisbon. Here there is the tourism office and a lot of restaurants and bars. Head here for the sunset and admire the amazing landscapes when the sun is going down. It is one of the monuments of Lisbon most known, it is also protected by the Unesco as a World Heritage. We find this spot really suggestive and inspiring. We highly recommend you to don’t miss this in your list of photo spots in Lisbon. 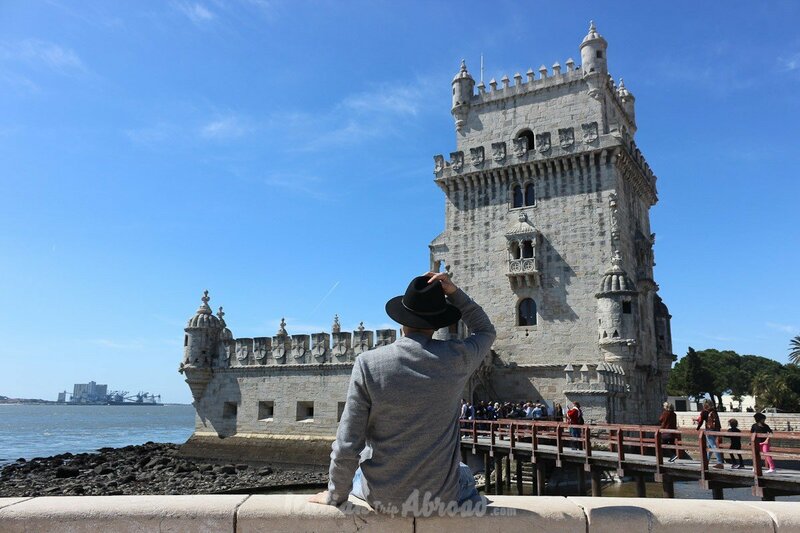 Belem Tower is one of the perfect spot for your most instagrammable places in Lisbon and you can’t miss it, especially because close by there is one of the most important shop where you have to buy the famous Pastel de Belem. All the river side of Lisbon is full of good places to take pictures. This is the only places you need to pay in our list of the best photo spots in Lisbon. There is a reason behind. It is to preserve this precious building. It is an amazing building and the price for the entrance is less than 10 euro. 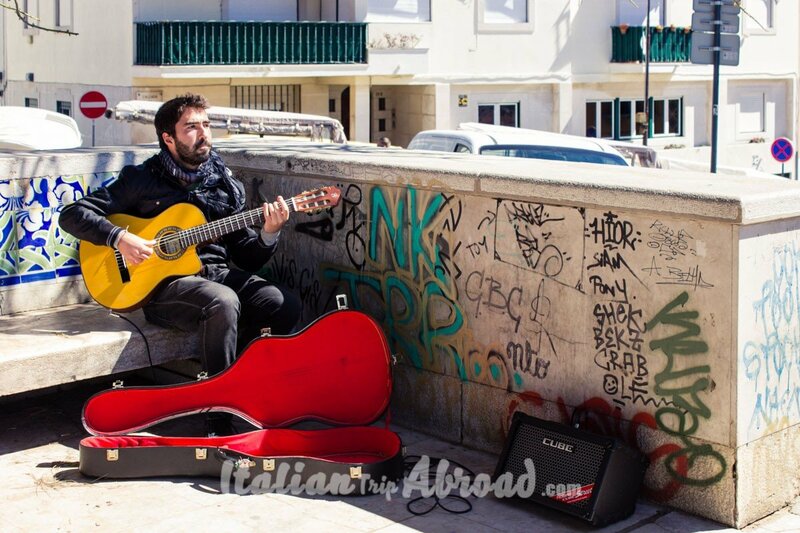 It is affordable for backpackers and families, we recommend a visit to this place in your stay in Lisbon. Book your ticket in advance on the official website. The Cristo Rei is in one of the best places to live in Lisbon. Amadora is just on the other riverside of the Rio Tago. It is a secret spot for tourist staying just a weekend. Have you heard about the Cristo Rei in Rio de Janeiro? This is the perfect copy of the one in Brazil. 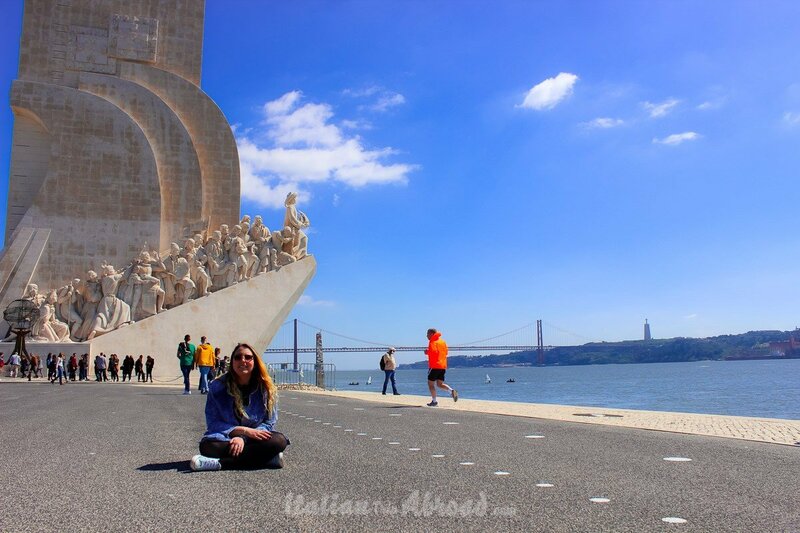 It is not just a religious monument, but it is also one of the symbols of Lisbon and an amazing photo spot. We headed here with a precious intent to hug Lisbon. Yes from here you can literally see all the old town and hug it. This is for us one of the best place to take instagram photos. Just behind the corner of this amazing monument, there are some of the best and cheap places where eat in Lisbon. Try the pastel de Belem. From where all the discovery started could be missed the monument on it. It depicts a stylized caravel, which enters the Tagus River. The monument depicts 33 illustrious figures from the history of Portugal, navigators, poets, mathematicians. To the north, before the entrance to the monument, there is a marvellous wind rose, with a diameter of 50 meters. 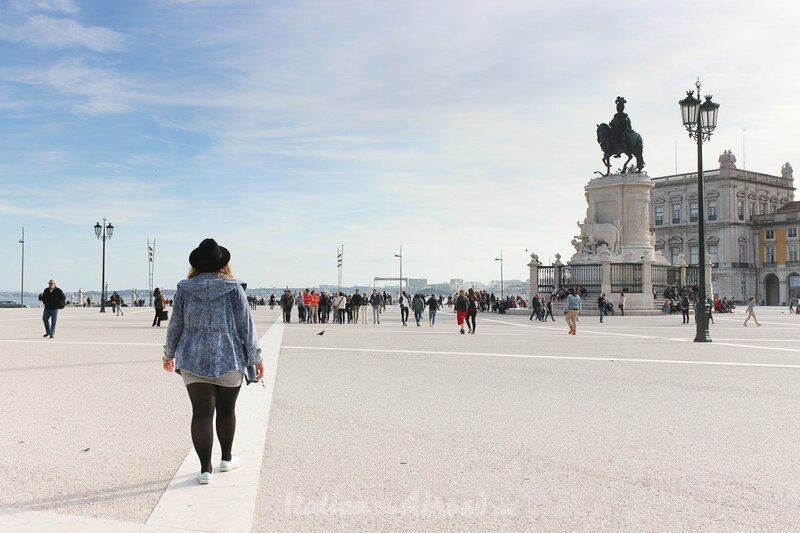 As we said before there are so many best photo spots in Lisbon. We cannot miss at all to mention you the Pink Street, one of the musts in Lisbon. It is an authentic road painted pink, on the side of the road, there are so many clubs and pubs. Lisbon is everywhere beautiful. You cannot visit Lisbon in a day, there are so many places where is not just old art but even the street art is really amazing. You cannot miss visiting Rua Augusta Arch, the view platform on Santa Justa, the Carmo Convent, the São Jorge castle, the 25th Abril bridge, the Baixa district and Rua Nova, just for telling you some more names of the best photo spots in Lisbon. If you feel to see more of Portugal, but don’t want to afford 4 hours by car to go to Porto, just behind the corner there is Sintra and Cabo da Roca in less than half an hour from the centre of Lisbon. We have had some shot on our Instagram so far, go and check what we did in Lisbon. It will be an Instagram guide to Lisbon with the best Lisbon Instagram spots. 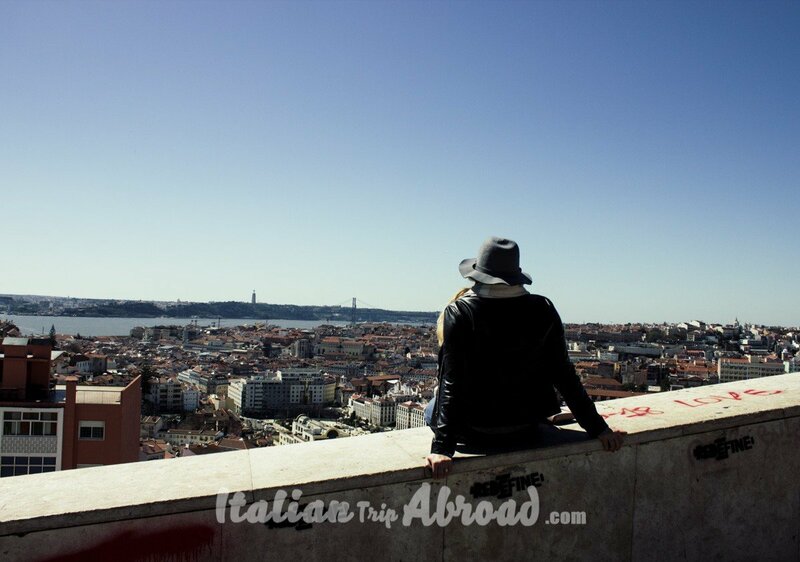 If you feel adventurous, go and check other amazing and unmissable spots with the best view in Lisbon. Hahaha that’s was so good! Wonderful series of photos introducing the best places to take great photos in Lisbon. I’m totally intrigued by the pink-painted street, is it a local art installation? Yes it is. I know the photo is not really clear. I will make a new one as soon we are back to Lisbon. Basically the street pathway is pink. Lisbon truly is photogenic! It’s funny because with the cable cars, street art, and the bridge, this almost reminds me of San Francisco! Yes it is. We can admit a lot of people after seeing our photo from The Cristo Rei looking at the Bridge are asking us if it San Francisco. It is amazing, and absolutely worth to visit! Ready, set, Go! Denmark I am coming. Two Days trip in Copenhagen.